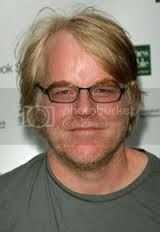 Xtrology » PHILLIP SEYMOUR HOFFMAN PREVENTED? Sometime you see a death and you know it could have been prevented with a little information — such is the case with Phillip Seymour Hoffman. Why was he so susceptible to drugs? Pisces rising. The rising sign always brings out the worst qualities of the sign. Then his Moon in Pisces in the 12th House of Pisces. He’s set up for substance abuse because Pisces rules it — also for extreme sensitivity and what turned out to be great acting ability. He was born with this. Here’s the sadness. His predictive Mars (the meanest of all the predictive aspects) just squared his predictive Venus. He wasn’t feeling the love, for himself, from his friends, from his family — and it might have been right there in front of him or it might not. I experienced this when my father died. And the degree to which I was betrayed, well, I lived through it. But it was the most pure pain. I hated opening my eyes in the morning, because I knew the suicidal thoughts were on their way. By afternoon, I was okay. But the mornings were hell. It didn’t last forever. And neither would it have for Phillip. But he didn’t know it was coming. And he didn’t know it would get better. He needed to have a sober coach with him during this time and all would have been well. A $200 reading from Xtrology and his kids would have their father. I learned Xtrology because of this horrible experience. My transits were fine so I didn’t see it coming. However, not ture in Phillip’s case. Transiting Saturn was sitting on his Neptune (drugs), a Pluto/Venus conjunction in the cardinal “Bite Me” transit was square to transiting Uranus and natal Saturn and opposition natal Mercury and transiting Jupiter. Sliced and diced. A relapse could easily and I do mean easily have been foreseen. Strong people can’t handle this and sensitive, vulnerable people can’t handle it at all. Death is a big theme surrounding the “Bite Me” Transit. A good friend died the first time around in March 2012. And my beloved Munster cat died yesterday. I have natal Mars at 12 degrees Capricorn. I got hit, too. For a personal reading contact melanie@xtrology.com. And please visit us on Facebook and Twitter. I am offering at a very special price $50, a transit reading for the “Bite Me” transit, because it is so deadly and can, in some cases, be avoided, as in the case of Phillip Seymour Hoffman.